What Happens After “Happily Ever After”? Tools to Help You Build and Maintain a Healthy Relationship. L.G. : As we grow up, we learn about fairytale romances where a prince and princess fall madly in love and live “happily ever after.” But what happens after the “happily ever after” when the romance fades and real life gets in the way? This book provides you with tools to help you build and sustain a healthy relationship with a significant other. The book is an easy, fun read, offering 6 important relationship skills that are essential to the success of your relationship, to include building a relationship with yourself. IAN: Is What Happens After “Happily Ever After”? published in print, e-book or both? IAN: What inspired you to write What Happens After “Happily Ever After”? L.G. : I have been a mental health therapist for over 20 years working with hundreds of individuals and couples who struggle with relationship issues. I wrote this book because I strongly believe that everyone deserves to be in a happy, healthy, long lasting relationship and I believe they exist, with some work and know how. Having both personal and professional experience with relationships I felt passionate about sharing the tools and skills that I offer my clients with others who may not otherwise seek counseling. The skills presented in this book use a cognitive behavioral approach that has been proven effective in the improvement of relationships. L.G. 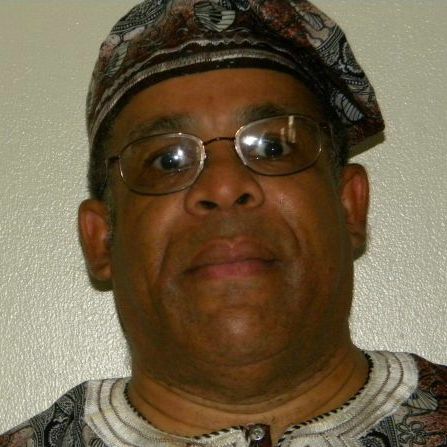 : While I was pursuing my second Master’s degree in Education I took a class on program development. I developed a relationship skills training that I intended to present in a 9 hour workshop. While reviewing the outline I decided to use that as the template for my book which ended up writing itself. L.G. : It is my greatest hope that the information presented in this book will help readers to re-evaluate their expectations in relationships and more importantly of their partners. We are all just human trying to live our lives the best we can with the hopes of finding a compatible partner to share it with. There are no super heroes or fairytales and if we can approach relationships for what they really are then perhaps we can alleviate the unnecessary broken hearts and love turning to hate that so often result from entering relationships for the wrong reasons. L.G. 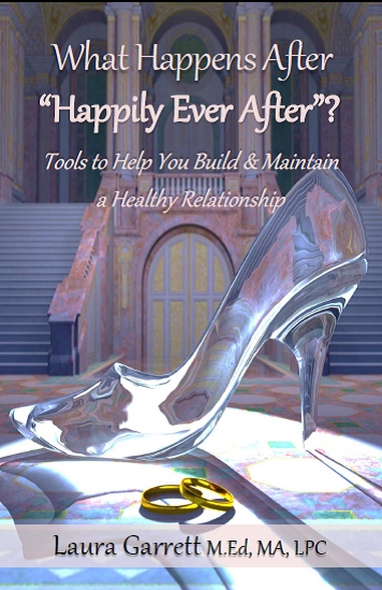 : What Happens After Happily Ever After is written as a fairytale narrative to make it fun and easy the learn the five necessary skills for building and maintain a healthy relationship with a significant other. L.G. : Don Miguel Ruiz and Eckhart Tolle’s books have been most influential, particularly The Mastery of Love and The Power of Now. Both books have inspired me to live in the present moment and approach others with the same love and compassion that I would have for myself. L.G. : I would definitely have to say my editor. It was her great sense of humor, love and support, in addition to her invaluable input that made the writing of both books possible. It also made the growing pains of this project worthwhile. L.G. : I never really considered myself a writer; I have always been a therapist first and foremost. Therefore my biggest challenge was wrapping my head around the idea of being an author. As for my writing, the main challenge was ensuring the concepts in my head were thoroughly delivered in concise and understandable way. L.G. : Originally Stephani an artist from Milan, whom I found at 99 designs, designed the first cover of my book, I have recently changed it to the second cover as it was more appropriate for my target market and it better depicts the message and content of the book. My editor designed both covers. L.G. : The hardest part of writing this book was the introduction. I had the content but had no idea how to deliver it in a creative way. So I started the book with “Once Upon A Time”, just to get started, the plan was to write the content and then change the introduction, however, once I started to write, as mentioned earlier, the book just wrote itself, so I left beginning as it was. L.G. : The second and final book, Creating Your Own Fairytale Life, Seven Keys to Your Happily Ever After has been released, June 2015. This book is the prequel to What Happens After “Happily Ever After”? It is the book that teaches you how to have a relationship with yourself prior to being in a relationship with someone else. In this prequel, the Prince, under pressure from his parents to marry and rule the Kingdom, takes to the forest on a quest for self-discovery. He meets a helpful Wizard, who enlightens him about the seven most important skills needed to succeed in life and to overcome any obstacle to peace, success, and Happily Ever After. Labels: Creating Your Own Fairytale Life, family, IAN Interview, Laura Garrett, marriage, relationship, self help, What Happens After "Happily Ever After"? I am the first author in the history of the game of Advance 3-D Chess to conceive of the idea of practically playing chess from a 3-Dimensional perspective. My unique, one-of-a-kind chess books contain Diagrams, Illustrations, Drawings and Photos displaying key information about the game board, the Longitudinal Star Gate 14 Model, Model III, which makes the games fun and easy to understand. It is imperative that readers understand the fundamental aspects of conventional chess to allow for the easy digestion of the new information which my chess books so vividly portrays. My chess books and E-books contain the Equations or Statements of each movement of the chess pieces relevant to the game(s). The equations display the symbolic mathematical elements and spatial relationships and relativity of the chess pieces on the game board. The language of chess is indeed an expression of mathematical spatial relativity. I work hard to provide to my audiences the necessary tools that makes relearning the game entertaining and easy to understand. Advance Chess : Random Access to Problematic Probabilities. Book 2 Vol. 3. The book’s subtitle is: The Hybridization Polymerization of Matrix Poly-Plextics Informatics. S.N. : My books are published in both print and e-book. IAN: Where can we buy your books? IAN: What or who inspired you to write Advance Chess? S.N. 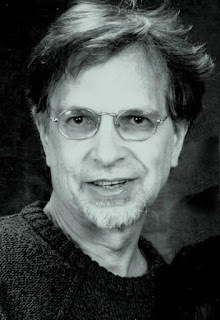 : My cousin , Robert H. Brown , who is currently a British citizen residing in England and who holds a doctoral degree in English was influential in my decision to try a writing career besides my Engineering interests. Writing is a magnificent tool that enables me to promote ideas about Advance Chess to help enlighten others about the new styles and forms of playing Advance 3-D Chess as opposed to the rather draconian ways of conventional chess and offers some important moral compass for those readers who have an open mind to newer opportunities to explore and to exhaust the tapestry of psychological warfare under the philosophical guidance to exhaust the possibilities to newer ,informative approaches to life in general. IAN: How long did it take to write Advance Chess? S.N. : The time frame to complete and to publish each book averages about a month. S.N. : I sought after title that are captivating and attention grabbing. Due to the sophistication of my books’ content, I describe the books’ titles that adds to my books’ complex nature. IAN: How is Advance Chess different from others in your genre? S.N. 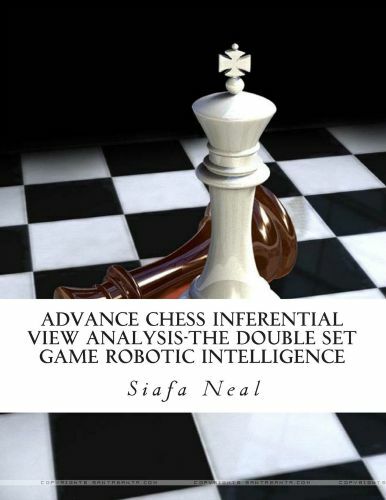 : My book differentiates from other similar genre books in that field on the market in that it offers special unique Diagrams, Illustrations, Drawings and Photos about the space-aged games of Advance 3-D Matrix Vector Logistics Chess, the first of any kind that is currently available in the marketplace. S.N. : The books that have influenced my life most are: “The Tale of Two Cities” written by Charles Dickens and other similar book by the same author. S.N. : Writing has the potential of becoming a possible career choice. Presently this choice is in synchronization with my Time availability and Talent Resources (efforts, skills, aptitude ). S.N. : My interest in writing probably originate in high school in my English classes. a. What makes my work unique? b. Why would a reader want to read my book? c. Am I allowing my published work speak for itself without being so pretentious? d. Do I emulated a passion for writing my book? e. What would compel a reader to purchase my book? f. Do I have the right organizational skills to write my next book in an orderly sequence and format? IAN: Tell us about a work in progress. S.N. : My next book is a sequel or series of books that discusses the Double Set Games for the Longitudinal Star Gate 14 Model, Model III. Jane Davis is the author of six novels. Her debut, Half-truths and White Lies, won the Daily Mail First Novel Award and was described by Joanne Harris as 'A story of secrets, lies, grief and, ultimately, redemption, charmingly handled by this very promising new writer.' The Bookseller featured her in their 'One to Watch' section. Five further novels have earned her a loyal fan base and wide-spread praise. Jane is regularly compared to more seasoned authors such as Kate Atkinson and Maggie O'Farrell. Compulsion Reads describe Jane as 'a phenomenal writer whose ability to create well-rounded characters that are easy to relate to feels effortless.' Her favourite description of fiction is 'made-up truth'. Jane Davis: At the age of forty-six, Anita Hall knows exactly who she is. She has lived with partner Ed for fifteen years and is proud of all they’ve achieved. They go out into the world separately: Ed with one eye on the future in the world of finance; Anita with one foot in the past, a curator at Hampton Court Palace. This is the life she has chosen - choices that weren’t open to her mother’s generation - her dream job, equal partnership, freedom from the monotony of parenthood, living mortgage-free in a quirky old house she adores. The future seems knowable and secure. But then Anita finds herself standing in the middle of the road watching her home and everything inside it burn to the ground. Before she can come to terms with the magnitude of her loss, hairline cracks begin to appear in her perfect relationship. And returning to her childhood home in search of comfort, she stumbles upon the secret that her mother has kept hidden, a taboo so unspeakable it can only be written about. IAN. 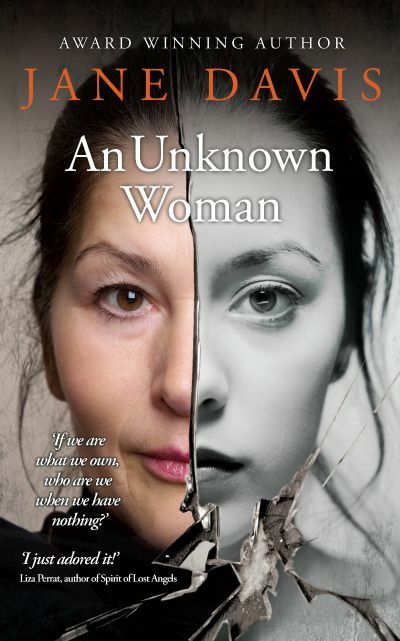 Is An Unknown Woman published in print, e-book or both? IAN: Where can we go to buy An Unknown Woman? IAN: What inspired you to write An Unknown Woman? Jane Davis: I’ve chosen some fairly meaty subjects for my previous novels: religious visions, prostitution, knife crime, the protection of vulnerable adults. With An Unknown Woman, I didn’t deliberately set out to write about a ‘big subject’. Instead, I began to write what I thought was a simple story about a family placed under the microscope when crisis brings them together. I wanted to tackle the subjects that are relevant to the life I’m living now (which bears no similarity to what I imagined when I was a child and my father used to tell me, “When you’re an adult, you can do exactly as you like.”) It’s about how material possessions inform our sense of self; the extension of youth into what used to be thought of as middle age; and what it’s like to be childless when the majority of friends have children, even when childlessness was a positive choice. Basing the threads very loosely on my elderly neighbour’s personal experience, I also explore the issue of what happens when the bond between mother and daughter is absent. In my neighbour’s case, the women in his wife’s family only had daughters and were unable to form any sort of bond with them. He spent his married life guarding his wife’s secret by being both mother and father. It was only when I sent my manuscript to beta readers that I realised, far from being a ‘small story’, this issue is more common than I could have possibly imagined. But while the subjects of post-natal depression and delayed bonding are openly discussed, the sense of shame that a mother experiences when she cannot love a child – sometimes a child who was very much wanted – precludes that same openness. Jane Davis: I used the working title The Things that we Lost in the Fire, but changed it when a song of the same title was released. By that time, An Unknown Woman had taken on various meanings within the book. It’s central character, Anita, whose job is a curator at Hampton Court Palace, is obsessed with a painting called The Portrait of an Unknown Woman, which depicts a woman who was previously thought to be Queen Elizabeth 1 - except that she’s shown as being heavily pregnant. Secondly, Anita is also interested in the women whose names have disappeared from history, and, thirdly, it is the title of the book within a book. Then in February 2014, when I was about halfway through writing the book, my sister and her husband lost their house and practically everything they owned to the winter floods. She lived on the island on the Thames that you can see in the first photograph in this article: http://www.dailymail.co.uk/news/article-2555658/UK-weather-16-areas-South-warned-flooding-danger-lives-Armed-Forces-battle-save-homes.html. Suddenly there appeared to be an extra layer of meaning in every line I wrote. IAN: If you had to do it all over again, would you change anything in An Unknown Woman? Jane Davis: The loss of my sister’s house made me question if I should abandon the project. The imagined scenario I had been writing about become a reality for someone very close to me. I gave her the choice, which was possibly a little unfair. I didn’t realise at the time I made the decision to continue, or even when I went to press, that 18 months later, they would only have just received planning permission to rebuild. At the moment, they’re still living in rented accommodation with what little they managed to salvage. Their lives will still be in limbo for another year or so yet. However, it was clear that the shape of the book had to change. The other day, I stumbled across this quote: “The writer’s job is to get the main character up the tree, and once they are there, to throw rocks at them.” While Anita finds one hell of a lot of rocks flying in her direction, I chose my ammunition more carefully than I would have done otherwise, replacing a few sharp flints with smooth pebbles. Jane Davis: I never write an outline, but I don’t see the alternative as ‘winging it’. I am a gradual layer-er, and that takes time. With the exception of Half-truths and White Lies, which virtually wrote itself, none of my published novels bear any resemblance to their early drafts. The pivotal moment of a novel may not actually reveal itself until several edits in, or until an editor comments, ‘I see the point that you were trying to make.’ As author Roz Morris says, sometimes it takes a reader to hold the mirror up to your work. This certainly wasn’t the first time I have substantially altered the focus of a book during the course of its writing. I’m afraid that anyone who imagines that words show up in the eventual order that they appear on the page of any novel is, in the majority of cases, mistaken. In some ways, the novel in its final form is an illusion. The rabbit pulled out of the hat – or in the case of An Unknown Woman, the few things pulled from the wreckage of a burning house. IAN: What do you hope your readers come away with after reading An Unknown Woman? Jane Davis: The fire quickly becomes the least of Anita’s problems. It is the psychological fall-out and what happens when she is stripped of her armour that drives the narrative. She has to find the answer to the question, ‘If we are what we own, who are we when we own nothing?’ I suppose that I’m asking the reader the question too. The answer is that we are not the same. But, as with the altered plot of a novel, there can be positives. I think the overall message is that when one door closes, another opens. Jane Davis: I work with graphic designer Andrew Candy on my book covers (although my newest cover was designed by Jessica Bell). Having already established a strong brand, the way we operate is that I come up with the concept for the design, and source the images and Andy executes it using his marvellous eye and technical wizardry, which, frankly, is beyond me. As with the title, the image for the cover of An Unknown Woman has more than one interpretation. There is the fraught mother/daughter relationship in the book, but there is also the idea of looking in a mirror and finding that the person staring back at you is not the person you expected. Andy gets the credit for finding the image of the older woman. Trying to find photographs of two women who could be two halves of a whole, without the result looking photo-shopped was a challenge. I was tearing out my hair when he got lucky and struck gold. Photo libraries tend to rotate images, so one day you can find nothing at all and on another day the perfect image will appear within moments, as it did for him. I’ve had people ask if it’s the same woman, but of course it isn’t. It’s the arch of the eyebrow that makes it so convincing. I think it’s probably my most commercial book cover to date. Jane Davis: If I have to pick one author, it has to be John Irving. I’m currently re-reading Cider House Rules. As for what strikes me about his work, my answer today is totally different from what it would have been had you asked me a few years ago. What I love about Irving’s writing is his skill to tackle complex subject matter with simple language. You’ll never find him shying away from an uncomfortable scene. When I started to write, I wrote the type of book that I loved to read. I left school at the age of 16 and had never been to a creative writing class. No one had told me that there were rules. What strikes me is that Irving breaks every rule - he constantly head-hops and he veers away from the main story for several pages to explore the background of a minor character – but his storytelling style is no natural that he does this eloquently. Jane Davis: I belong to a writers’ group, but everybody there has written a book so I’m not a novelty. 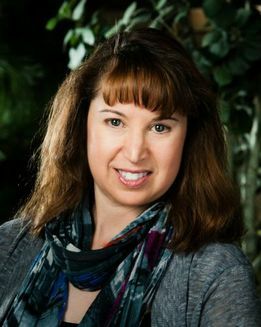 I’m a member of the Alliance of Independent Authors (ALLi) and I’ve had great support there, and have collaborated with several members on various projects. Last year, my novel An Unchoreographed Life was included in a multi-author boxset, ALLi member Jessica Bell designed the new cover for I Stopped Time and ALLi member Jane Dixon-Smith designed the interiors for the new editions of my books. 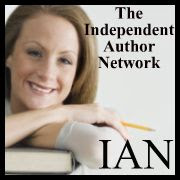 I’m brand new to the Independent Author Network so I’m looking forward to getting to know other members. But the greatest support I’ve had has been from members of my keep fit class (Moves Fitness). I’ve been working out with the same group of people twice a week for the past 25 years. There are about 400 classes dotted around the country, which if you do the maths gives me access to 12,000 potential readers, many of whom fit the demographic I’m after. Among the people in my class I have found several amazing beta readers and proofreaders whose talents are being wasted at work, so they’re very keen to put them to work. There is buy-in from those people, and my instructor allows me to sell books before and after class. When we put on large-scale events such as charity fundraisers, I donate the profits of my books while getting considerable exposure. My advice to other authors is to never be afraid to ask for help. The response may surprise you! 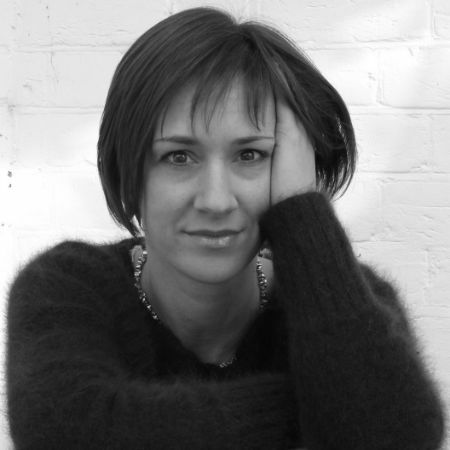 Jane Davis: My work in progress is a standalone novel. It’s the story of a radical poet and political activist who is a cross between Edith Sitwell and Vivienne Westwood. Having been anti-establishment all of her life, she is horrified to find that she’s been featured on the New Year’s Honours list. (This is list prepared by the Queen for people who have made a considerable contribution to British life in some substantial way – arts, culture, business, charitable works and so on). 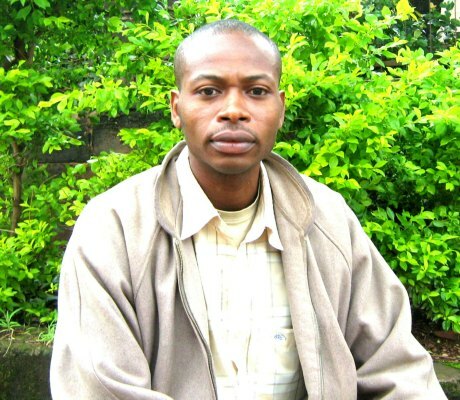 Kenechukwu has always been a person who loves doing lots of creative writing. There is nothing he does better than crafting kindle books/stories everyone loves to read, stories readers easily enjoy and relate to. What is more? Kenechukwu writes stories that entertain, inform, educate and inspire. Kenechukwu’s depth of talent is so amazing, always reader-focused, and easily evident in his novels, plays, short stories, poetry, children’s fiction and articles tastefully spiced with romance, suspense, thriller, magical realism/fantasy and more that hook you in and keep you reading. Kenechukwu knows the literary landscape is filled with many players who are masters of their craft, yet he stands out because his voice, style, talent and touch deliver unique kindle books/stories that simply say to you --- Come and fall in love with our titles at KEN’S WORLD OF BOOKS and AMAZON, where we care about your reading pleasure. K.O. : I am proud of my novels through which I think I have been able to put out engaging and entertaining stories out there for my readers to enjoy and have fun with, especially with titles like HONEY GONE THORNY, PLEASE DIAL NINE ONE ONE, A DANCE WITH THE NAKED VIRGIN, ANATOMY OF THEIR FURY and BACHELORS ON STRIKE. 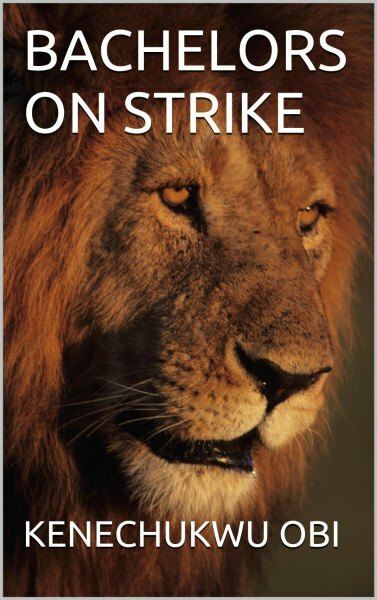 My latest book is actually the novel titled BACHELORS ON STRIKE. The princess is not getting any younger. She needs a man in her life. But her father the King makes it difficult for marriages to happen. And the Princess does not mind doing anything she can to dethrone her father. And why would Bachelors go on strike? Looking for a novel that will entertain you and keep you turning its pages? Looking for a story to fall in love with? Then BACHELORS ON STRIKE is the kindle book that has got it. IAN: Is Bachelors On Strike published in print, e-book or both? K.O. : My books are E-books. IAN: If you had to do it all over again, would you change anything in Bachelors On Strike? K.O. : I poured my heart and soul into creating BACHELORS ON STRIKE. I had fun doing it since I came up with the idea in 1997. It is a book that took me quite a long time to put together. I was so obsessed with writing it and hope readers worldwide will accept it the way it is. So why would I want to change anything in it? I don’t think so. I do what I do and let my readers pass their judgment. It is that simple. K.O. : My goal has always been to tell stories my readers will enjoy because I care about them. I hope to always have them entertained, inspired, educated and informed each time they spend any of their hard-earned money on any of my titles. I really appreciate any amount of time they spend reading any of my titles. K.O. : I say it like it is. I tell my stories the way they naturally emanate from my mind without worrying about how many people will receive them. Not everybody will like my out-of-the-box-style. I am always true to my style, a writing style that always jumps off the pages and says it’s me and no one else without an iota of doubt. K.O. : The Harry Porter series, Lord of the Ring, Romeo and Juliet, Things fall apart and many more. K.O. : Difficult question! I have been influenced by a whole lot of writers I have read right from when I was a child. A difficult choice to make really, let me say Sandra Brown. I think she is awesome. K.O. : Fifty Shades of Grey by E L James. I’m enjoying it. K.O. : I think writing can be an excellent career for any writer that manages to do only it without having to rely on other sources of revenue. This is very difficult to accomplish though. K.O. : While growing up, I watched a lot of movies and always got fascinated by stories behind them and told myself I can tell interesting stories too. K.O. : Tell stories you love to tell. Be yourself. Let your voice be you at all times. Don’t be afraid to put your stories out there. Not everyone will like what you write or your style, but don’t let that stop you. I care about your reading pleasure and have worked so hard to present you a line of books to enjoy. I hope you catch plenty of fun reading them and savor the pleasure of discovery every word, sentence, phrase, paragraph and page is set up to deliver in unique and entertaining ways. And don’t hesitate to let me know what you think. Your reviews will help me get better. K.O. : The idea for my next book will come when it will come, when the mood is right and the creative juices start to flow. Right now, I have yet to decide if it is going to be a novel, a play or any other kind of writing. Nature of the inspiration that will possess me will say.